Add an offbeat finish to your everyday ensembles with the Ahujasons pomegranate print scarf. 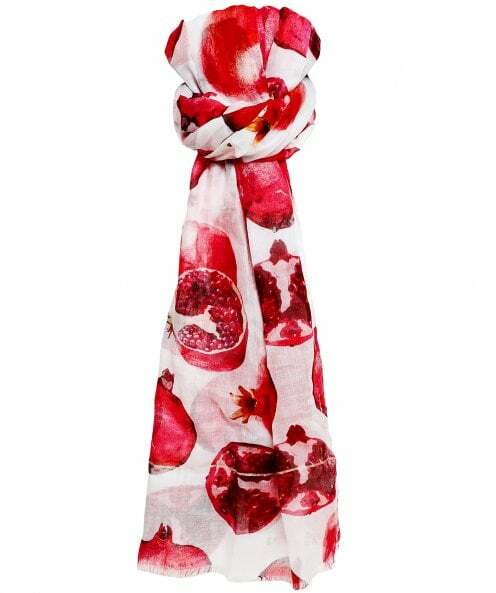 This beautiful lightweight scarf is crafted from a premium modal blend and features a quirky all-over pomegranate print. With a sumptuously soft handle and frayed edges for a laid-back feel, this chic scarf is a stylish and versatile accessory that can be worn in multiple ways.